On March 20th, following a lengthy public review process, Secretary of Interior Sally Jewell unveiled new federal regulations for hydraulic fracturing on federal lands. According to the Department of Interior, these new standards are designed to (1) improve safety, (2) protect groundwater by updating requirements for well-bore integrity, (3) ensure wastewater is disposed of properly and (4) require public disclosure by companies of chemicals. The regulations will go into effect on June 24th, 2015. The fracking boom put the U.S. on track to be a leading producer of oil and gas, yet most of the production has taken place on private and state lands. These wells, unlike the approximately 100,000 wells on federal lands that will be impacted by the rule, are regulated at the state level. The Obama Administration and supporters of the rule hope the new regulations will serve as a standard for state legislatures confronting their own regulatory issues. The Department of Interior (DOI) has suggested that many companies already comply with similar regulations and estimates the new regulations will come at a minimal cost. Agency estimates range between $5,500 to $11,400 per well, or approximately $32 million/year, which is less than 1% of the cost of drilling. Opposition to the rule has come from a variety of places. Members of Congress, such as Senator John Barrasso (R-Wyo. ), believe the new regulations will serve as a barrier to development, adversely impacting job opportunities, U.S. energy security and domestic energy costs. Industry officials, such as the American Petroleum Industry, claim the rule will raise the cost of development by creating a layer of federal regulations that duplicate existing state regulations. DOI has argued that a variance exemption available to states and tribes with equal or greater regimes in place addresses that concern. Environmentalists have also been critical, worrying that the website mandated to publicly disclose chemical materials, FracFocus, was created and is run by the oil and gas industry. 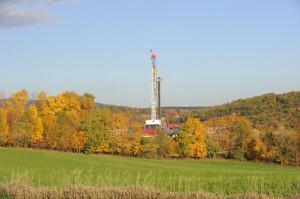 Will new hydraulic fracturing regulations accomplish their stated goals? What economic impact will the new regulations have? Will they enable or hinder development on federal lands? 1. DOI’s estimate of $5,500 to $11,400 per well is grossly underestimated, and according to industry the rule will add $97,000 in expenses per well. That figure comes from the Western Energy Alliance which commissioned an economic study conducted by John Dunham & Associates on the cost impacts of the proposed rule. According to that study, the bulk of increased costs comes from enhanced cement casing. Industry says that BLM assumed the rule simply formalizes what operators are already doing, and would not have to build new casing, which is not true for all wells. To really discern which estimate is more accurate would probably require a more detailed breakdown of wells and analysis of those that already meet the federal requirement. Likely, there is a wide disparity between in costs between wells depending on location and geology and how different current minimum state requirements would be compared to federal casing requirements. 2. The larger concern among industry and state regulators is that the federal rule infringes upon state primacy to regulate wells, and in some cases may even conflict with state rules. Well operators would have two sets of regulatory standards to negotiate, and that would not only increase reporting costs but presents regulatory uncertainty, which is an anathema for investment. 98% of wells on federal lands are in just seven states: California, Colorado, Montana, North Dakota, New Mexico, Utah and Wyoming. The BLM rule is similar to California’s state regulations, although California’s are more stringent regarding neighboring landowner notification and groundwater monitoring plan. Even so, the BLM rule has specific requirements for storage of waste fluids that are not in the California rule. 3. The BLM rule provides that variances may be granted to states or tribes if the state or tribal requirements meet or exceed the federal provisions. However, nothing in the BLM’s duties statutory authorities allow delegation of BLM duties to the state or tribal agencies. The rule contains language that would allow an operator to request a variance on a well by well basis, but does not contain formal language for states to request a variance that would enable their regulations to take precedence. For BLM’s part, they say they are already working on comparing elements of the federal regulation with Wyoming regulations to determine a variance. Industry has questioned whether BLM even has the resources to oversee the requirements and issue variances. BLM already struggles to meet the existing workload processing oil and gas leases and related oversight on public lands. These rules put the interests of big oil and gas above people’s health, and America’s natural heritage. The bottom line is: these rules fail to protect the nation’s public lands—home to our last wild places, and sources of drinking water for millions of people—from the risks of fracking. More than ever, this underscores the urgent need to get better protections in place around the country—at the local, state and federal levels. What can the new BLM’s hydraulic fracturing regulations accomplish? They will certainly help, but based on extraction environmental issues inherent in the process, extensive exploitation of shale gas is dangerous and possibly unnecessary. Huge methane clouds, like the one now over Four Corners, are not good! Adhering to the Bush government’s policy that renewables weren’t ready for prime time, the government became extensively involved in the development of the fracking process, giving the industry exemptions from basic federal environmental laws. It is time to take back those passes, including the one that does not label flow-back water as hazardous, although its radioactivity is a demonstrated risk. The Breakthrough Institute has concluded “from basic science, to applied R&D, to technological demonstration, to tax policy support and cost-sharing partnerships,” the government played an extensive role in the development of fracking. Current industry fuss is just early salvos aimed at the coming EPA’s rules, which will reach beyond the BLM’s federal lands jurisdiction to all wells. The complaints are a bit late. The IEA set out a list of Golden Rules for fracking 3 years ago. The European Congress and The Royal Society reached essentially the same conclusions about the need for new vigorously enforced rules before allowing fracking to proceed. Similarly investors now want disclosure of risk management practices and have put together a list called “Extracting the Facts”. Their 12 core items look like Europe’s regulatory needs list, minus the extensive discussion of seismic danger from pressurized re-injection of wastewater. It is more exacting than BLM’s list. ▪	Disclose fines, penalties and litigation. Maybe a real carbon budget in line with the IPCC recommendations to “leave it in the ground” can now be discussed. The key question is whether Mr. Obama’s new rules governing stimulation of oil and gas wells (fracking) on federal land will produce net costs or net benefits? The study by Mr. Obama’s Bureau of Land Management (BLM) study purports to measure the new rules’ benefits by estimating the amount by which they would lessen the costs of correcting the environmental harms caused by fracking. With BLM’s approach, the effects of the new rules hinge, in part on the size of the risks from fracking as well as on the size of the costs of correcting the environmental harm that fracking might cause. With low estimates of risks and remediation costs, BLM finds that the new rules would cause net costs, and with high risks and high costs they show net gains—albeit very small ones. At the midpoint of the range, the rules would produce net costs. Thus, on its face, the BLM’s own analysis suggests that the rationale for the new rules is weak even if one believes BLM’s cost estimates. Dawn Santoianni’s post correctly notes the fears that the new rules on cement casing will be more costly that BLM claims. At least equally troubling, BLM’s study avers that the new rules will cause no delays in well completion. Given the Bureau’s history in managing the drilling permit process, this claim strains credulity. As recently as June of 2014 the Interior Department’s own Inspector General released a report detailing continuing delays and management problems still plaguing BLM’s handling of drilling permits. In sum, Secretary Jewell has failed to make a compelling case for the need for new federal rules. BLM’s analysis strongly hints that the rules being proposed will cost more than they are worth. And even were the rules far better than they appear to be, the Department’s own Inspector General has raised telling doubts about whether BLM is equipped to perform its new duties. Concerning final BLM rules for hydraulic fracturing (“fracking”) on Federal and Indian lands (43 CFR part 3160), I consider most rules are adequate and reasonable to ensure environmentally responsible development of precious oil and gas resources on Federal and Indian Lands which represent almost 40% of our nation’s land area. Fracking has shown to be remarkably effective in stimulating the release of tight shale gas and oil resources and has resulted in turning around US oil production rates which had been declining. However, fracking requires the use of dangerously high hydraulic pressures along with strong chemicals to reduce casing friction and make the fracturing materials or proppants effective. The major below ground concerns are the integrity of the wells so as to not allow a forced leak of fluids into “usable water” aquifers or to cause a blowout with even greater damages; as well as protection of human and natural resources above ground from oil and flowback wastewater spills or containment leaks. The BLM is a highly professional agency that has been managing and protecting our vast Federal natural resources for many years, including complex offshore drilling operations. The current rules on petroleum operations are over 25 years old and are inadequate to address advanced fracking technology. The BLM has been inundated with public, private and occasional political pressure to meet our increasing need for resource development while protecting our environment to a highly responsible level. In other words, they are literally in-between a rock and a hard place. BLM has been working on these difficult rulemaking decisions for four years and received over 1.5 million comments. After a background introduction, most of the 96 pages of new rulemaking verbiage deal with the public comments which were all addressed in a professional manner. A secondary but also large section of the rulemaking attempts to address the potential economic costs and benefits, which are difficult to assess and pin down, and sometimes costs do appear to be underestimated. The costs of using very strong and high quality concrete to assure deep well integrity will be high, along with additional requirements for mechanical integrity tests and new monitoring requirements. To use another cliché, it’s just not possible to have our cake and eat it too; if we need want to continue our high standards and quality of life, we must pay the price. A possible overkill in the rules is the consolidation of older rules into an initial assignment of “usable waters” required to be protected as all with less than a fixed 10,000 ppm of TDS (total dissolved solids). However, this high standard, as well as some expensive standards for steel containment vessels above ground (in highly sensitive areas), can be modified by the wise provisions for exemptions and waivers with due cause. The waiver and exemption routes can be used effectively by technical and environmental specialists to reduce costs when the facts are supportive. It takes some additional work, including tedious paperwork, but has a strong ROI.